List Rules Vote up the children's cartoon deaths that surprised you by being brutally violent. Masked by bright colors, funny voices, and kid-friendly entertainment, it's easy to forget cartoons often feature some of the most violent death scenes in entertainment. Over the years, hundreds of vicious cartoon deaths have gone ignored because they're animated. But think about it: how many times has an animated character died in a way that would be absolutely traumatizing if done in live action? From the extreme exploits of Wile E. Coyote to Simba watching his father trampled to death by a heard of stampeding buffalo, pop culture is rife with brutal animated death scenes (although Wile E. Coyote seems freakin' indestructible). Read on for some of the most violent cartoon deaths from children's cartoons, and vote up the ones with the most shocking savagery. 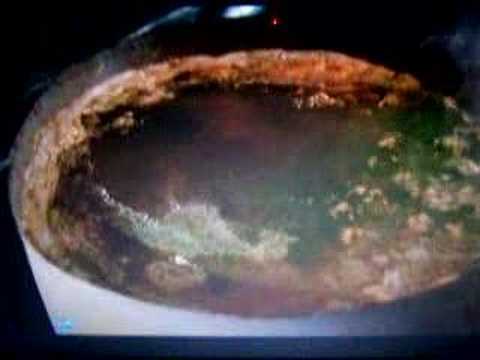 Doom Dips a Helpless Shoe in a Vat of Caustic Filth in Who Framed Roger Rabbit? With a name like Judge Doom, don't expect rainbows and butterflies. In Who Framed Roger Rabbit?, the true extent of Doom's villainy is unveiled when he reveals The Dip, a poisonous substance capable of killing cartoon characters. To show off his nasty creation, Doom grabs a random, cute cartoon shoe and slowly dips it in a vat of the stuff. We hear the shoe squeak and cry in agony as he slowly melts. 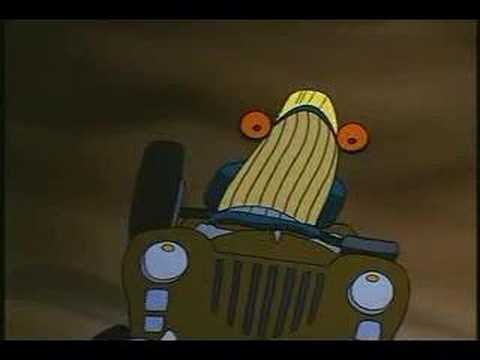 There's a lot of death in The Brave Little Toaster, none more horrific than the automobile graveyard. Not only are cars crushed into small cubes by a brutal machine, they sing a song about how worthless they are while it happens. Singing songs is supposed to make everything light and cheery, but in this case, it only adds to the brutal nature of the scene, because it's a nihilist song they're singing as they're murdered. Like, WTF? What are you, Brave Little Toaster? The Holocaust as animated by Nietzsche? Is this a scene from a kid's movie or Dexter? 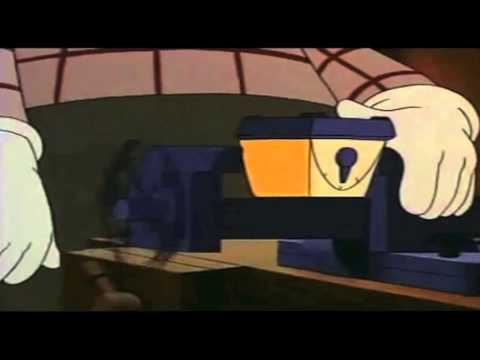 It's hard to tell, as the scared blender in The Brave Little Toaster is nabbed by a creepy handyman, who slowly dismantles him, piece by piece, in order to get to his motor. The blender's friends can do nothing but watch in horror as their friend gets literally taken apart in front of their eyes. It wasn't brutal enough to watch villain Clayton accidently hang himself in Tarzan, so to really sell the brutality, animators made sure there was an abundance of rain and lightning to set the mood. The most violent aspect is watching Clayton turn from a brash hunter to a savage, howling beast (which obviously plays to the themes of Tarzan). After cutting too many vines in an effort to free himself, Clayton plummets, one vine left wrapped around his neck. You hear his yell until the rope tightens with a sudden snap. The last you see of him is the shadow of his dangling corpse.